Reserve Villa Marseille and get ready to have an amazing vacation on the shores of the Gulf of Mexico. This beautiful destin vacation home in the private gated community of Destiny East can comfortably accommodate up to 15 guests, features a private pool, and comes with two 4 seater golf carts! If you are looking for the perfect home for your next Gulf Coast vacation, then say bonjour to Villa Marseille. This stunning home offers four generous bedrooms, three and a half bathrooms, and a wonderful location in Destin. The full kitchen, dining area, and living room are elegantly decorated and provide the perfect place to spend quality time with the family. On cool nights, you can cozy up by the fireplace and watch a movie on the large TV or go for a swim in the private pool (that can be heated for an additional fee). On warm days, you can enjoy an afternoon barbecue and cool off in the crisp cool water. Villa Marseille will have you saying Ce La' Vie! With two floors of luxurious space, you will certainly have enough room for the whole family. There are two master bedrooms with king-sized beds one on the first floor and one on the second floor, so you can spread out and have privacy. The third bedroom offers two twin size bunk beds and a trundle, perfect for children! The fourth bedroom feature two queen size beds. This home is great for a stress-free family vacation. Plus, you can even bring the family dog! Villa Marseille is located in the highly-desirable neighborhood of Destiny East. Destiny East is an exclusive gated community that offers several amenities including two neighborhood pools, hot tub, fitness center, clubhouse with movie theater, tennis, basketball courts, BBQ area with outdoor kitchen, walking trails, & playground for the kids! The neighborhood is located on pedestrian friendly Scenic 98 and golf cart friendly. So you can walk down to the beach to catch a sunset or take a relaxing bike ride. If you would like to rent a golf cart or bikes, we offer daily and weekly rentals, so please let us know! We really enjoyed your house! We stayed over Christmas. Our Grandsons enjoyed riding the golf carts to the beach & nightly rides to see the Christmas lights. I would suggest a portable air pump for the flat bicycle tires since we were unable to ride. Thank you for sharing your house! Beautiful home. We had a great time! Enjoyed our week stay at Villa Marseille. We had seven people and the house accommodated everyone very well. The house was clean and spacious. We had only one issue and it was the internet. The problem was addressed very quickly by the staff. Special thanks to Jamie, Lindsey and the maintenance man for all they do. The golf carts were really a plus. They made it very easy to get to the beach. We will return!!! "Our family rented Villa Marseilles for a one week vacation in Destin and it was a wonderful "home away from home". The house slept 8 easily and everyone enjoyed the pool and screened patio. Two golf carts came with the house and they were very convenient for getting everyone to the beach. Easy to drive and held all of our beach equipment. Neighborhood is very quiet, although there were children and dogs around. Beautiful gardens and lovely homes in this gated community. Community center was well stocked with books and movies, a work out room, pool, tennis courts and a walking path. It would have been nice to have beach chairs and towels accessible at the house. You can rent chairs/umbrellas on the beach but that gets expensive for a week with a crowd of people. Bringing your own beach towels is cumbersome. Kitchen needs a few more items to be fully equipped for cooking....more cooking utensils. Grill was not working when we arrived, but was serviced and cleaned for us immediately when we called. Thank you for sharing your home with us...it made for a perfect family trip. " "Villa Marseille was perfect for our needs. Dad, Mom, 3 daughters and two sets of grandparents. Plenty of room with excellent sleeping accommodations. The location was great. Just inside the Hwy 98 gate to Destiny East. The pool was small, but adequate and the two golf carts were great for getting around locally. 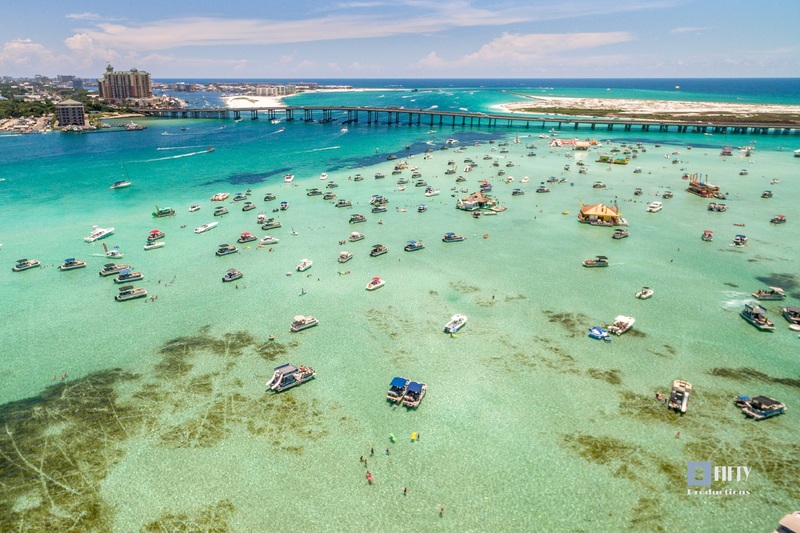 We come to Destin every fall, but I will probably not come back this time of year again because of the crowds. Insane. "Thank you for your review Rick! I am so happy to hear you and your family had an excellent week here with us and enjoyed all the accommodations we offer. 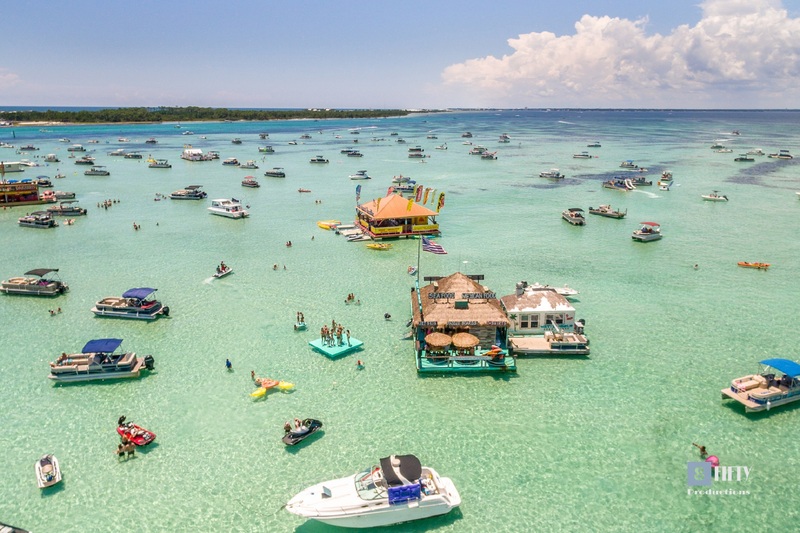 Next time the white sands of Destin are calling your name, give us a call! :) Have a great Fourth of July! Sincerely, Destin Palms Management"
"The property was in great shape and clean. Had lots of room for everyone. Was equipped with everything you need in the kitchen. Loved the golf carts to ride to the beach.kids loved the pool. Club house and pool was great." "Thank you for your positive feedback! We are glad you enjoyed your stay. Best regards, Destin Palms Management"
"This a very nice vacation property in a wonderful location. The neighborhood is beautiful and very close to the beach with the golf carts adding a fun touch to the rental property. I think it needs to be noted that the fireplace doesn't work and has been permanently disabled (which is why I gave it 4 stars.) We would have enjoyed the fireplace on the cool January nights. " "Thank you for your feedback. We are happy you enjoyed your stay and sorry the fireplace was not available to you. We will amke sure that our site shows the fireplaces in our homes as non working so as not to disappoint other guests during the winter months. Thank you for your patronage and hope you will come back to see us again during warmer weather. Destin Palms Management"
parking was great for a large group." "Thank you for the feedback. We are glad you enjoyed our home. Hope to see you again in the future. Destin Palms Management "
"We enjoyed our stay. We especially liked having the golf carts available to us!!" "Thank you for your Feedback. We agree that our homes with golf carts add an extra advantage to getting around our area and to the beach. Glad you had a good stay. Come back again soon. Destin Palms Management "
"We arrived for a late summer vacation and was not disappointed. There were 11 of us staying and this home had plenty of room, and was very conveniently located to the beach which was a short ride on the golf cart away. The maintenance staff was very accommodating in attending to the only issue we had which was an old worn out rusty grill When notified they immediately replaced the grates that evening and then delivered a brand new grill the following day. 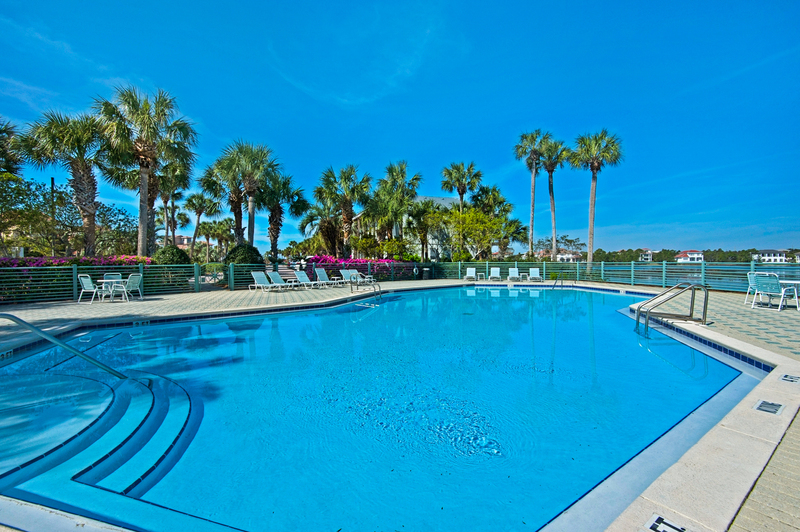 Highly recommend this home and Destin Palms..."
"Thank you for the feedback. It is good to hear that maintenance performed to your satisfaction. Our entire staff works hard to ensure all your needs are met so you can enjoy your stay. Hope to see you again. soon/ Destin Palms Management "
"Thank you for your feedback! We have passed on your review to housekeeping, who will make sure that the mildew issue is taken care of. We will pass your other suggestions over to the owners. We are so glad that you enjoyed your stay, and we hope to see you back in the future! - Destin Palms Management"
"We had a lovely time. Very nice house..only reason not 5 stars is the bunk room did not have a door. Teenagers were not thrilled with that. Beautiful complex, super clean and the golf carts made everything so easy." "We appreciate the feed back and will pass your comments on to the owner. Hope to see you again soon. Destin Palms Vacation Management"
"Location to beach and shopping was great. Golf carts made it fun and we were at the beach and in the pool every day. Property mgmt company responded immediately when needed. Outstanding vacation!" "We're so happy that you enjoyed your stay and hope you'll come back to see us again real soon. Destin Palms Management"
"The house and pool were beautiful. Loved the golf carts. We watched a movie at the clubhouse with our 6 year old granddaughter, We are going to try to make this a yearly event. The kitchen is the best equipped than any other rental. We do think the couches need to be replaced, way to soft." "The pictures on the website really did not do this house justice. We loved the spacious living area, with plenty of room to spread out. Great location for shopping and dining and the beach just a short walk or golf cart ride away. Great experience with the management company made it easy for check in. The pool was heated and ready to go for us. The kitchen was stocked with all the utensils and cookware that we needed! That's important for our family, as we like to hang out and cook together. We will definitely try and rent this house again!" "Villa Marseille was great for our group. We had plenty of room for everyone and enjoyed the house amenities. 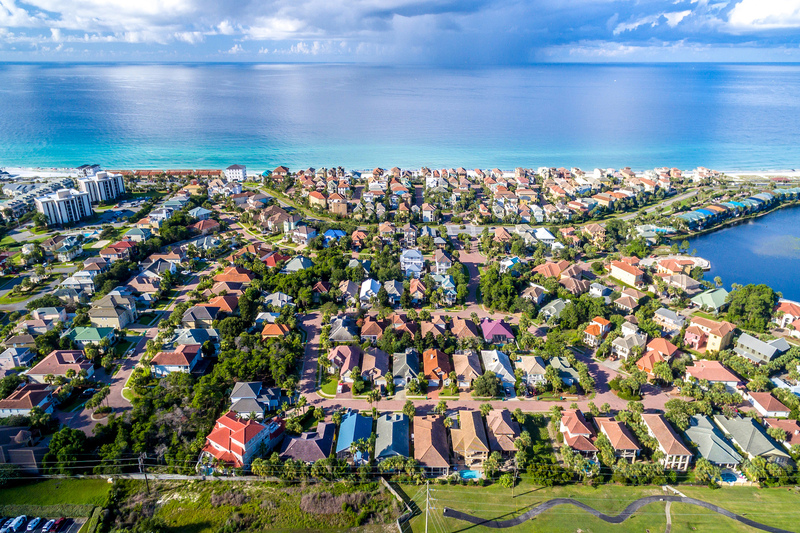 We had a great week in Destin and really enjoyed staying in the Destiny East neighborhood." "We spent a fabulous week at Villa Marseille! The house was big enough for all 11 of my family and we also were able to bring our family dog with us.The house is gorgeous and set in the back of Destiny East away from the busy beach area but close to Highway 98. So running out to pick up something, eating at restaurants, and shopping at the outlets is convenient. There are 2 golf carts that came with the house and those were so fun to take back and forth to the beach, rides up Scenic 98 and even to Brewsters for ice cream. The amenities of Club Destiny are the nicest of any other place we have stayed over the past 9 years. The private pool is a nice to have for times you don't want to go to the beach or a young one needs a nap. The staff and management company were very easy to work with, answer questions, and quick to help any problem that came up. " "Thank you for your feedback! We love this home and it's convenient location as well, and hope that you make many more memories here in the future :) - Destin Palms Management"
"For us it was the best setup. We cook plenty and the kitchen was very well stocked. From baking to gadgets including small electronics. If you were to have a pet this too would be a great place. A couple of flaws but considering the amount of renters nothing we couldn't handle. " "Great experience. If I would change anything it would be the check out time. Too early for a house this size. Maybe 11 am would be better, if not noon. It wouldn't take more than 4 hours to clean and inspect. " "We are so glad that you enjoyed your stay! We hope that you come back to visit in the future. As far as check out time, 10am is pretty standard for this industry. We do offer a late check out for an extra fee, but we have a large amount of properties that need to be clean between 10am (check out time) and 4pm (check in time). - Destin Palms Management"
"We would stay there again. Downfalls-kitchen needs more utensils only 1 dish towel, floor had not been moped our bare feet were black, master bedroom mattress needs changed as well as one of the queen beds. Other than those things it really is a nice place. The pool is great and the amenities are also nice. It is over a half Mile to the beach but the two golf carts helped that situation. Management was helpful also"
"Thank you for your feedback! We will definitely take your suggestions to heart and present them to the owner. We hope that you come back to visit us in the future :) ~ Destin Palms Management"
"This house was everything my family and I expected it to be and more! 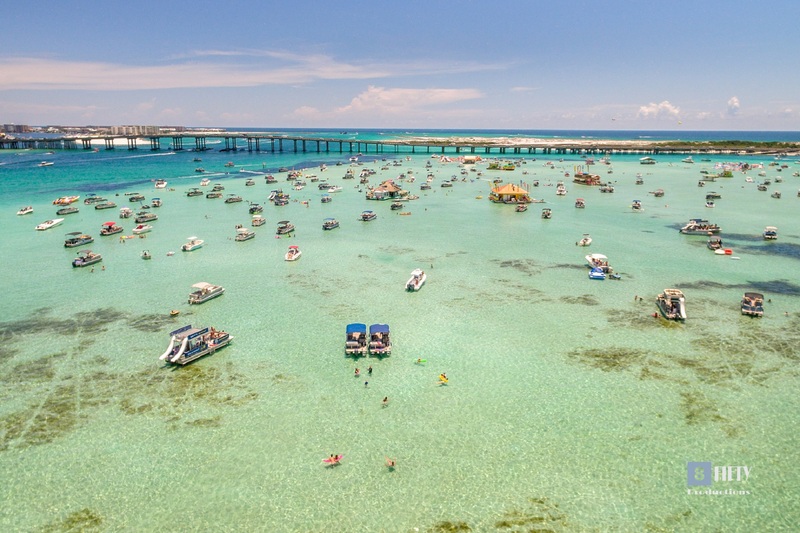 We requested to be able to check in early in case we arrived to Destin early and management quickly gave us the OK and the keyless door code to be able to check in early even though we arrived past 4pm. Already off to a good start! Once settled in, we wanted to check out the beach right away which wasn't far at all from the house. The golf carts were helpful providing us with a quick ride to the beach which was just right behind the community. The amenities in this house provided my family with enough but that was the least of our worries :) The pool was PERFECT to unwind and relax at night and especially for the kids when they didn't want to go to the beach. We had some minor problems during our stay but management was always there to quickly answer our questions and give us peace of mind :) Overall, a great experience! We would love to stay here again!" "We had a great experience!" "Glad you had a great time! Thank you for staying with us and we hope to see you again!" "The private pool made this house perfect for our kids. They could swim whenever they wanted without having to haul anything anywhere. The house was so spacious & beautifully decorated, too. The kids next top Favorite were the golf carts that we cruised with over the the beach, shopping, dinner & even ice cream!" "Thank you so much for your comments. We are glad that you and your family had a great vacation, and that the kids enjoyed the pool and golf carts. We hope to see you again next summer!" "Great experience and loads of fun"